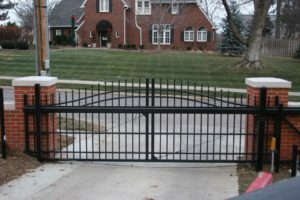 Whether you are looking for a security feature for a property or a driveway gate for your home, you need to consider an arched or over arch cantilever gate. America’s Gate is a custom gate manufacturer, so you can truly make your gate your own. You can select any size opening, your arch may reach any height and it can drop has far as you would like. You can even vary the drop for a more contemporary, wavy look. For a personal touch, insert a crest, emblem or feature that represents something unique to you in your gate. Cantilever gates don’t touch the ground, which is very useful in areas that experience troublesome winter weather like ice and snow. Cantilever gates have rollers that are attached to large gate posts on the storage side of the fence. The storage is usually about half the length of the gate opening and allows the gate to open fully. If you wanted, you could continue the arch of your gate. Swing gates cannot fully open uphill, so especially homes with driveways that slope up toward the house can benefit from a cantilever gate. Cantilever gates don’t run into this issue, as they slide and store to the side of the opening. The over arch nature of these gates means the top rails are curved upward in a graceful curve, making it appear higher class and more attractive than a gate with flat rails. The presence of this gate will give your property a more sophisticated feel and can even increase its property value. Even if your fence is a standard flat rail ornamental style, it can be accented nicely with an over arch gate. 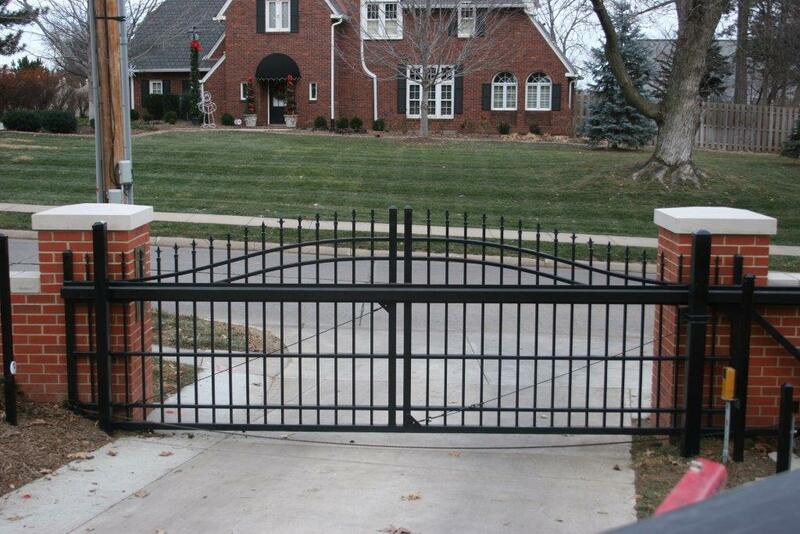 Explore our vast array of gate options at America’s Gate Company today.